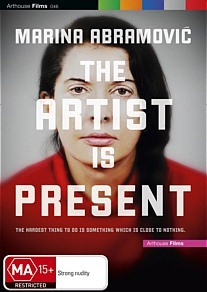 Marina Abramovic: The Artist is Present DVD Review A perfect documentary in every way. 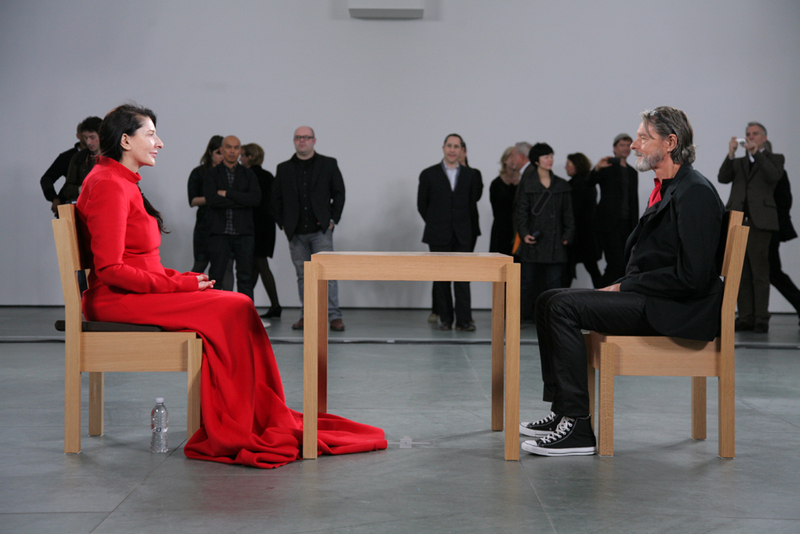 In a career spanning almost 40 years Marina Abramovic, the self-styled ‘grandmother of performance art,’ has continually reinvented herself, redefining commonly held notions about art and creating numerous groundbreaking works in the process. Her body of work now incorporates installations, sound pieces, video works, photographs, solo performances and collaborations with both other artists and her audience, including the notorious 6-hour long Rhythm 0, in which audience members were invited to use dozens of objects such as scissors, knives, foodstuffs, a whip, flowers, felt pens and a loaded gun in any manner that they wished. After initially reacting with caution, upon noticing the artist’s passivity audience members began drawing on Marina, cutting her hair and her clothes, burning her with lit cigarettes and pointing the gun at her head, amongst other violent activities - a primal and fascinatingly bestial group reaction that was at the heart of the work’s psychological thesis. If The Artist is Present sounds pretentious, it isn’t. It is a challenging, moving and profoundly beautiful feature, and an eminently powerful exploration of one of the modern era’s most seductive and fearless artists at the height of her powers. Its impact is difficult to encapsulate in words - like most of Abramovic’s work, you need to watch it to receive anything approximating an inkling of its dramatic impetus. But those who do will not be left disappointed. A perfect documentary in every way.